Luyendyk Jr., Mezzacane pass rookie test at Kentucky. Foyt IV tests at Phoenix. INDIANAPOLIS, Wednesday, Oct. 2, 2002 -- Arie Luyendyk Jr., who finished second in the 2002 Indy Racing Infiniti Pro Series standings, passed his Indy Racing League rookie test Oct. 2 at the 1.5-mile Kentucky Speedway. 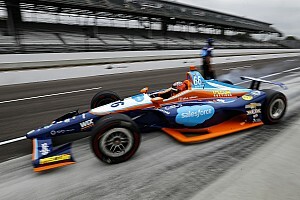 Luyendyk, 21, completed a total of 100 laps with a top speed of 218.4 mph in the Treadway Racing G Force/Chevrolet/Firestone that his father, Arie Luyendyk, drove in the 86th Indianapolis 500 in May and the Michigan Indy 400 in July at Michigan International Speedway. "The car was great," said Luyendyk, who earned one pole position and four second-place finishes in seven Infiniti Pro Series races. "It was really a blast to drive. It felt really comfortable. I was extremely happy with the car. It was just a great experience. I was driving around and I just kind of had a big smile on my face because it was fun." Luyendyk praised the Infiniti Pro Series as an important stepping-stone to the Indy Racing League. 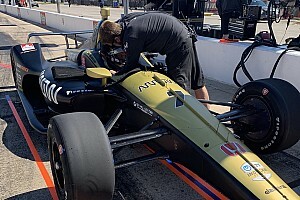 "I think the Infiniti Pro Series did a great job in developing me into the driver I am to move up to the Indy car and complete my test as easily as I did today," said Luyendyk. "I've gotten used to the speed in the Pro Series car, and it was interesting to go a little faster. I was surprised at how easy the jump was from the Pro Series car to the Indy car. "The cars are very similar. The major difference is just getting used to the speed and the G forces of the Indy car. You're pulling a lot more G's in the corner. It's just a little bit more physical, but as far as drivability, they're pretty similar. I think that it was great for me to run this year in the Pro Series to learn about that car. I could really apply a lot of the things I learned to this car." 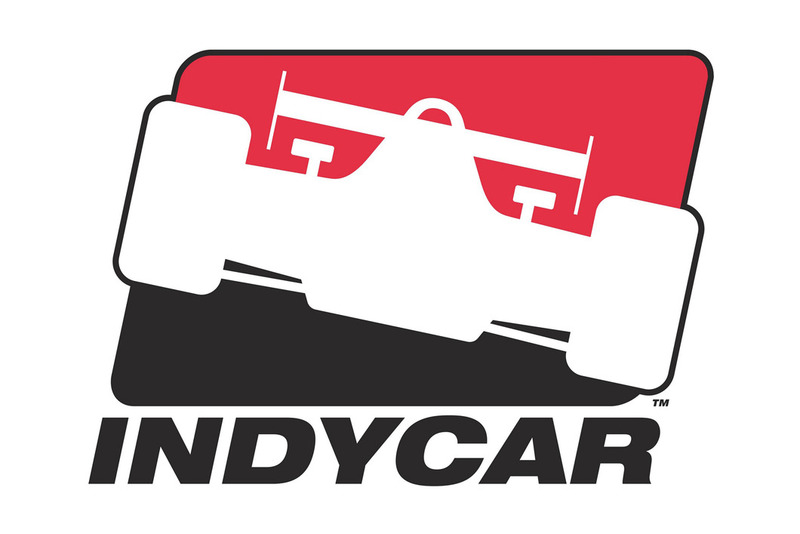 Luyendyk's father, a two-time Indianapolis 500 champion, agreed. "He obviously learned a lot about driving an oval, like how to be smooth with the steering and with the gas," said Luyendyk. "He's applied that to the Indy car, and it worked out fine for him. It goes to show you that the Infiniti Pro Series is a good series to run for the guys who want to go on to the IRL." Despite the ease with which he adapted to the IRL car, young Luyendyk plans to campaign one more season in the Infiniti Pro Series. "As far as next year, I still want to stick with my plan on doing the Pro Series," said Luyendyk. "I think it's a great series, and I'd like to stick with it another year and learn a little bit more on the shorter tracks. We do have some things going on right now, and it's possible that I'll be running two or three races in the IRL next year, as well." Former Formula One driver Gaston Mazzacane, 27, also passed his IRL rookie test Oct. 2 at Kentucky Speedway. Mazzacane completed 113 laps on the 1.5-mile oval and reached a top speed of 217.3 mph in the No. 20 Sam Schmidt Motorsports Dallara/Chevrolet/Firestone. The Argentinean competed for the Minardi and Prost Formula One teams in 2000 and 2001. "He had never been on an oval, period," said team owner Sam Schmidt, who was trackside for the test. "This was quite an introduction for him. After his first few laps, he came in and was just in awe because of the speeds. We got through the rookie test with flying colors, no problems." In addition to Mazzacane's rookie test, the Schmidt crew also tested several drivers in one of the team's Infiniti Pro Series cars. Toyota Atlantic driver David Weiringa, NAMARS MidgetCar points leader Aaron Pierce, Buddy Davis, John Renda, Jeff Gardner and Stephen Davidson each turned their first laps in an Infiniti Pro Series car. "It's a pretty good variety of drivers," said Schmidt. "John Renda is from Formula 2000, Davidson is from Formula 2000, Jeff Gardner is from USAC Sprint cars, Buddy Davis is from stock cars. Each guy has a different background, so it's been a lot of fun testing." While Luyendyk and the Schmidt crew were preparing to test at Kentucky, Infiniti Pro Series champion A.J. Foyt IV and two-time Indy Racing League series runner-up Davey Hamilton tested Oct. 1 at Phoenix International Raceway, logging a combined total of 143 laps in an A.J. Foyt Racing/Harrah's Dallara/Chevrolet/Firestone. Foyt, 18, completed 103 laps and posted a best lap of 22.32 seconds on the 1-mile desert oval. "We started off slow, like we planned, and got quicker, but the wind also picked up, so I think I could've been even faster if we didn't have that happen," said young Foyt, who earned four wins and four pole positions en route to the inaugural Infiniti Pro Series title. "Still, I'm happy with the speed. I could have run quicker through Turns 1 and 2, and with a little more work (Wednesday), I should get through there better. "I felt pretty comfortable out there today. Earlier I was a little nervous, but when I got to the track and got into the car, I wasn't nervous at all. I didn't even think about it. I pretty much listened to what my grandfather told me. He took me around the track and showed me the preferable line and explained about the wind and dirt on the track and just being careful. "I felt more comfortable after having driven the Infiniti Pro Series car, which has less power than the Indy car. The corners come up a lot faster in the Indy cars, which is something I had to get used to." The session marked young Foyt's second outing in an IRL machine. He tested his grandfather's No. 11 Indy Racing League car in February 2002 at Phoenix. Hamilton completed 40 laps -- his first in an IRL car since sustaining severe injuries to his feet in a crash on June 9, 2001 at Texas Motor Speedway -- and recorded a top lap of 22.55 seconds. Despite challenging track conditions, team owner A.J. 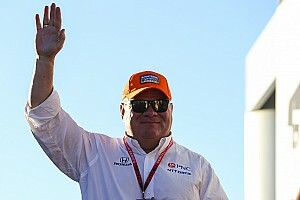 Foyt was encouraged by the first day of the two-day test. "(The test) went good, especially with the windy conditions making the track so dirty. The winds were steady at 20 mph and gusting to 40 (mph). We weren't trying to set any track records. We were just here to run miles. Davey did a great job, and I was pleased with A.J. IV's progress through the day. The test went well for both of them. It was a good day." Airton Dare, winner of the 2002 Ameristar Casino Indy 200, will join Foyt for a second day of testing Oct. 2 at Phoenix International Raceway. Drivers Gaston Mazzacane , Davey Hamilton , Arie Luyendyk , Airton Daré , A.J. Foyt IV , Sam Schmidt , Aaron Pierce , Arie Luyendyk Jr.